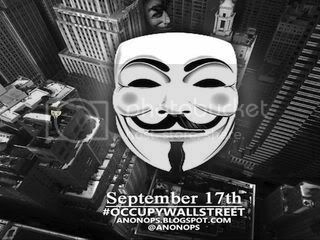 According to a pair of videos posted on YouTube, the company intentionally blocked emails that included “occupywallst.org,” the main website of the effort to shut down New York’s financial district organized by a shadowy group of hackers known as Anonymous. “Your message was not sent. Suspicious activity has been detected on your account. To protect your account and our users, your message has not been sent. If this error continues, please contact Yahoo! Customer Care for further help. We apologize for the inconvenience,” a message states after emails are sent via Yahoo. The videos show users successfully sending emails with different addresses. Yahoo claims the error messages were “unintentional” and caused by spam filters. Yahoo is notorious for helping the authoritarian government of China build its censorship firewall, known as the Great Firewall of China. (Continue reading this story).